Silymarin/Milk Thistle Extract has been extensively researched in Europe for over 30 years. 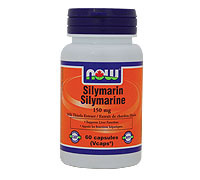 Silymarin nutritionally supports healthy liver function. Suggested Use: As an herbal dietary supplement, take 2 Vcaps® 1 to 3 times daily. 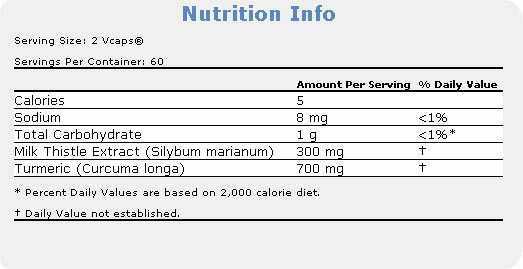 Other Ingredients: Rice Flour, Magnesium Stearate. Turmeric has been added to complement the effects of Milk Thistle Extract.